We are professional cleaners who focus on hard floor cleaning and polishing in Earls Court, SW5. We pride ourselves in creating excellent results and making our customers happy. You can hire a cleaner to do all the dirty work for you on a date of your choice, regardless of whether it is during the work week or the weekend. We are very flexible and we are available every day. Our cleaners are capable and trained specialists who are devoted to their jobs. You will be delighted with the outcome. Be sure to contact us and get things started. 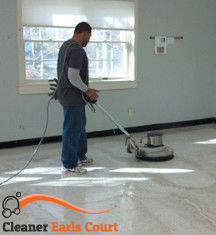 We stop at nothing to give your hard floors a thorough clean. Our cleaning programme does wonders. You will be pleasantly surprised how bright and beautiful your floors are. Rooms that see high traffic are exposed to severe accumulation of grime. Hard floor surfaces are usually quite durable but they can cling on to dirt as well. Regular cleaning can prevent dirt accumulation but it won’t stop it. This is why it is wise to use a professional service every once in a while in order to battle those nasty offenders. Our hard floor cleaning and polishing service in SW5 was created for the sole purpose of helping you to breathe new life into your tiles and grout, stone, vinyl and marble. We use effective cleaning methods and we pay extra attention to spots and stains. In a word, we are highly productive and effective. One of the things we do is to polish the floors so that they look nice for months to come. It also protects them from accumulating dirt. 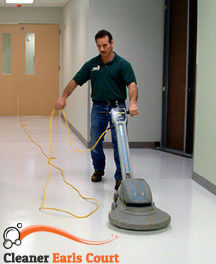 So, our service is 100% reliable and it is a perfect solution for your dirty hard floors. We encourage you to give us a call and give us further details about your wishes. We will address them quickly. Put our trust in us.